The most satisfying and accessible party game ever created comes to virtual reality! The Fruit Ninja phenomenon continues into the next generation yet again, and the Dojo is ready. YOU are the ninja! Play the original fruit-slicing action game enjoyed by billions of players around the world in a whole new way! 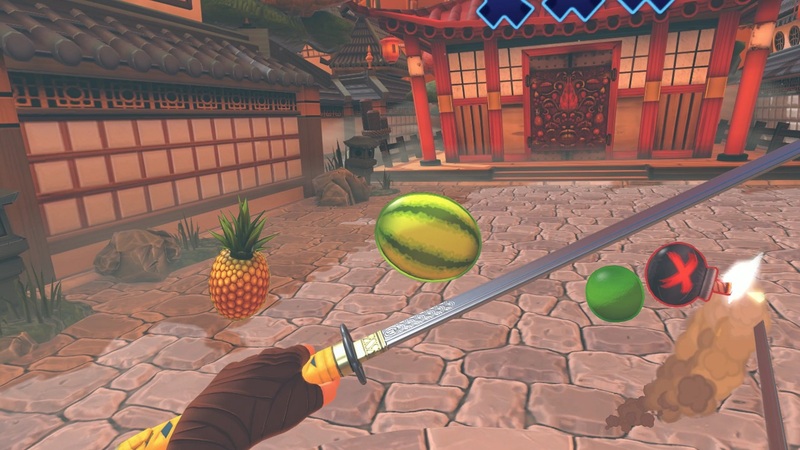 Fruit Ninja VR takes squishy, satisfying gameplay and turns it into a virtual reality experience that can be enjoyed by players of all ages and skill levels. 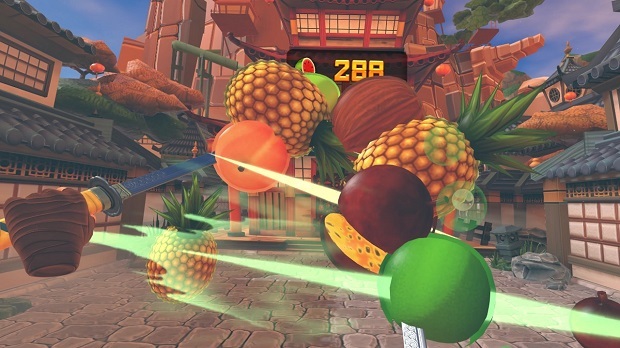 Step into the Fruit Ninja universe and tackle fruit from all angles – just don’t hit the bombs! Take your ninja skills to the next level by slicing, juggling and skewering fruit in virtual reality. Hit huge combos, deflect bombs with a flick of the wrist, and stake your claim on global leaderboards or relax with some Zen Mode. With more content and features to come, Fruit Ninja VR is the most fun you can have in virtual reality! Dual wielding – Double the blades, double the fun! Classic Mode – Slice fruit and avoid bombs. Simple and sweet! Arcade Mode – Slice as much fruit as you can in 60 seconds. Rack up huge combos and use the special bananas to score big! Zen Mode – 90 seconds, all fruit, no bombs. 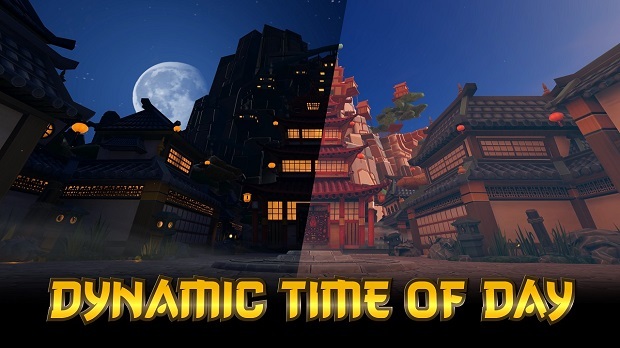 A great way to relax and reach enlightenment or hone your ninja skills. 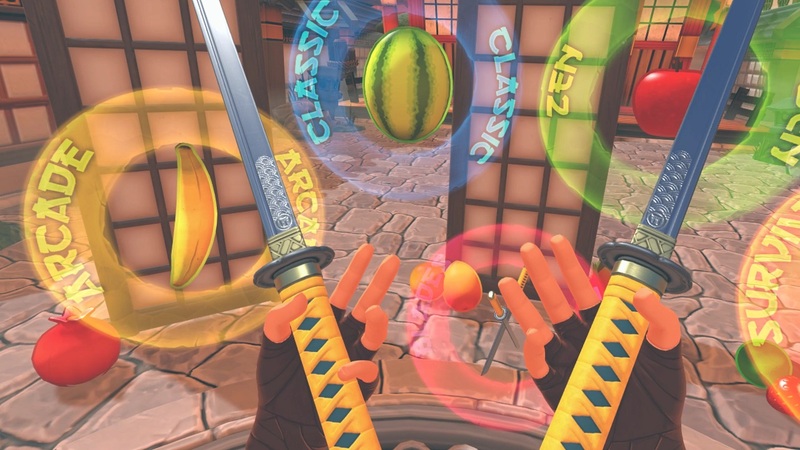 Compete on the Fruit Ninja VR global leaderboards to become the best Fruit Ninja in the world. Immerse yourself by stepping inside the Fruit Ninja universe. Contains logo, icon, screenshots, banners and video.